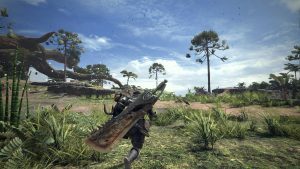 Monster Hunter is ready to be released on PlayStation4 and Xbox One in just a short time- couple of weeks till 26th January this year, with a PC release following sometime in the autumn. The game looks great. And PS4 users can try it out before the actual release as Capcom is releasing one last beta test for the PS4 users. And unlike the previous beta tests, this one won’t require a PlayStation plus membership. The beta test will be released just for North America, Japan and Europe. Details about pre- ordering the game have also been available for a while. Note: The beta version is just being released on PS4 is not for Xbox One. So, sorry Xbox One users. Capcom has also confirmed that they have plans of supporting the game with post-launch updates, which are going to be free. They claim that they will be doing so by “regular content updates” and “major title updates for free”. 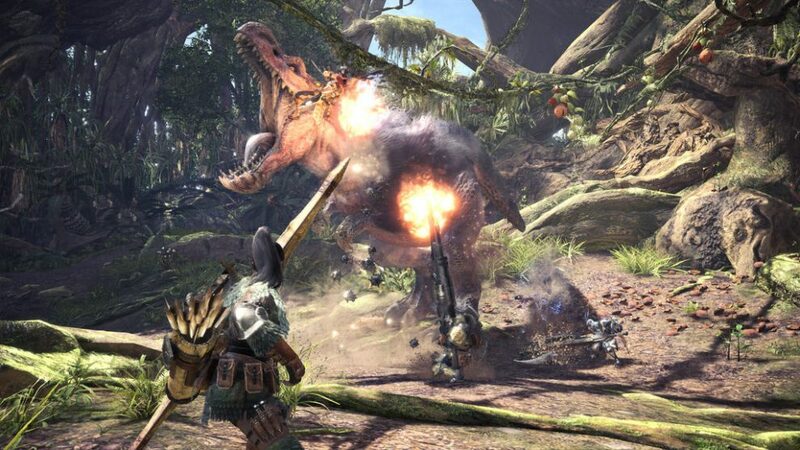 They say that they will keep adding new and intriguing monsters, starting with Deviljho. Now, the PS4 users, will be able to enjoy the pleasure of fighting the beastie, the Elder Dragon Nergigante from the 18th to the 22nd of January. Adding to the features of the new beta version, it would also have previous beta missions available. 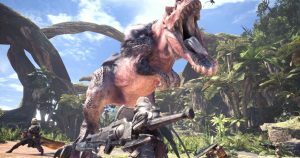 Previous beta missions include missions where you could match up against Anjanath, Jagras and Barroth. These monsters are found across two of Monster Hunter: World‘s locations: the Ancient Forest and the Wildspire Waste. We mentioned a lot of monster names, but there is one left to discuss, Deviljho. This was also shared by Capcom, that Monster Hunter World owners on any platform can meet him via a free post-launch DLC, sometime in the spring. Though some footage of the monster Deviljho can be found online. 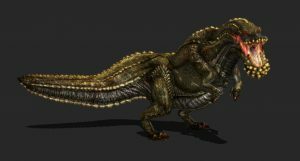 The Deviljho is described as one of the monsters that “must feed constantly and will devour anything in its path, even feeding on the largest of monsters with its massive jowls”. There was also a teaser video released showing the return of the Elder Dragons. 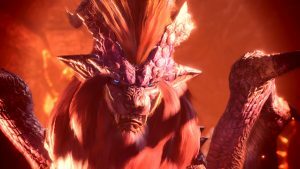 The Elder Dragons are named, Kushala Daora, Teostra, and Dodogama.